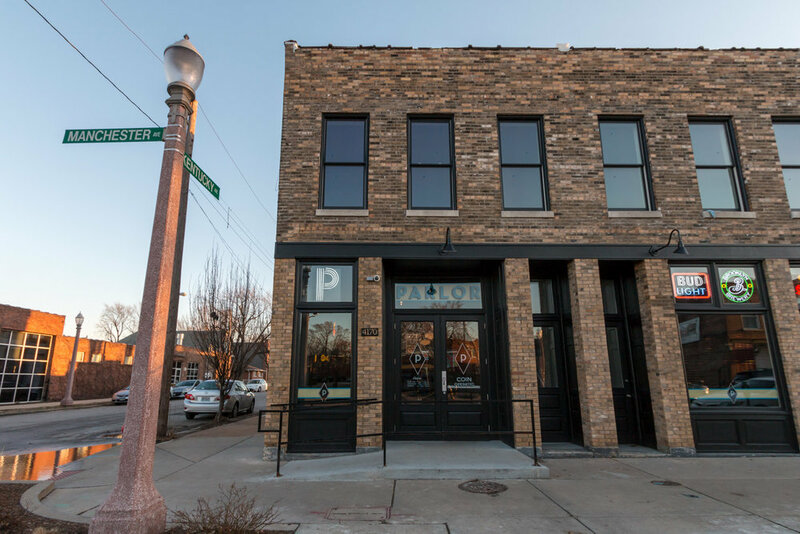 Restaurateur Corey Smale has tapped V Three Studios to help launch his modern, fast-casual Asian dining concept in St. Louis’ historic Central West End. 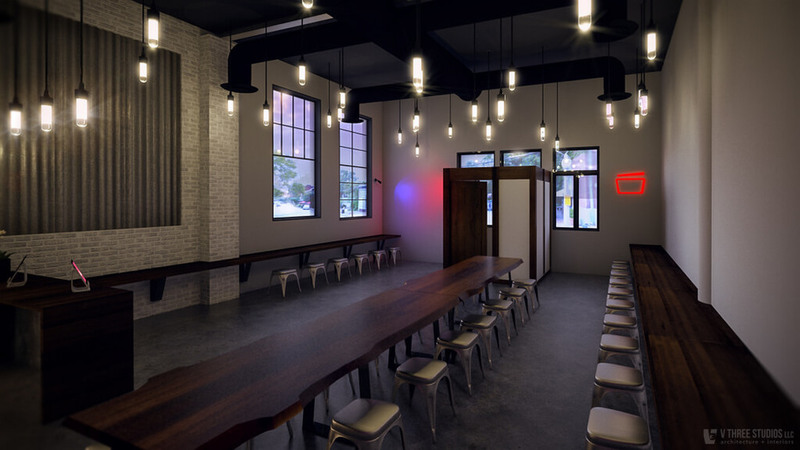 To bring the concept of Good Fortune to life, V3 focused on a simple palette of modern lines and contemporary materials with walnut tables and accents. 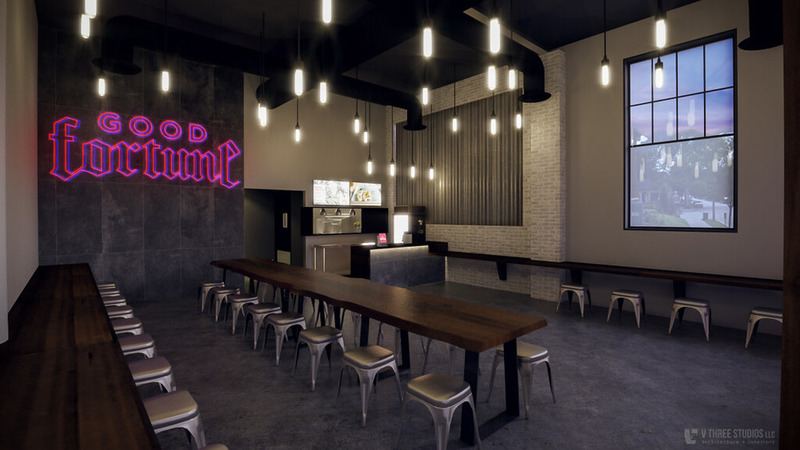 The main design feature will be the branding of Good Fortune in large-scale neon lights, which is a stark contrast from the simple architectural palette of the 1,310-square-foot space. 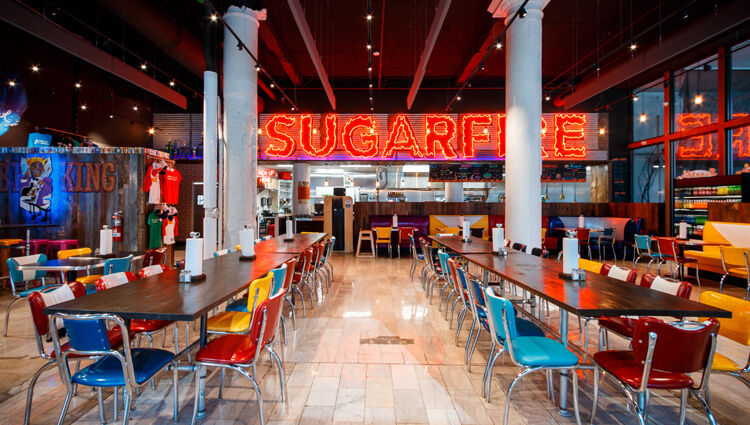 Sugarfire Smokehouse has officially opened its newest and largest location designed by V Three Studios in downtown St. Louis adjacent to the National Blues Museum. 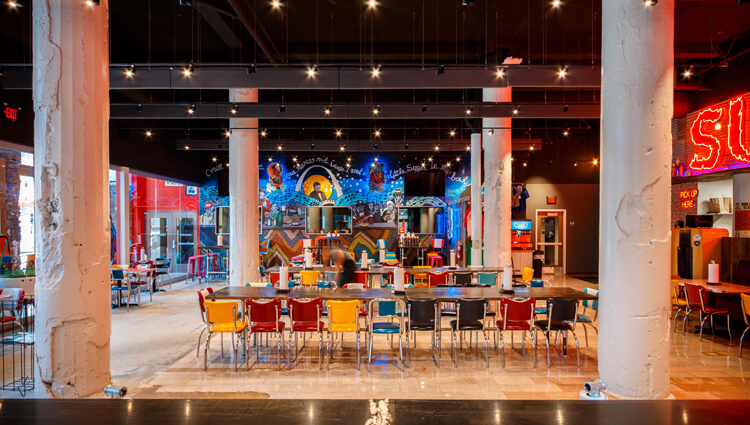 The design takes aesthetic cues from the museum, using reclaimed materials in unexpected ways to create modern textures with a contemporary feel. 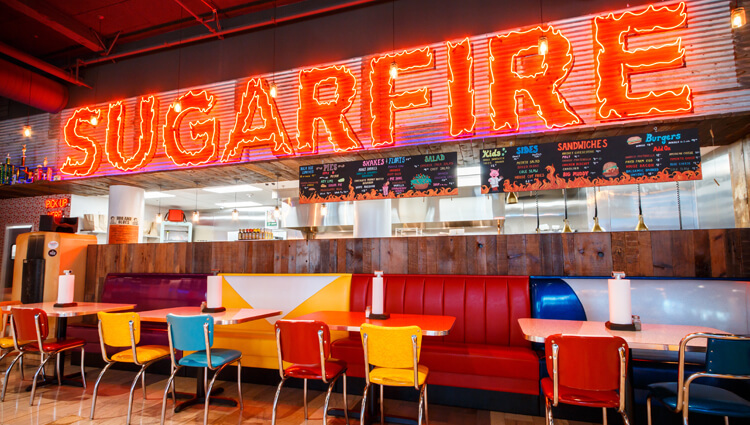 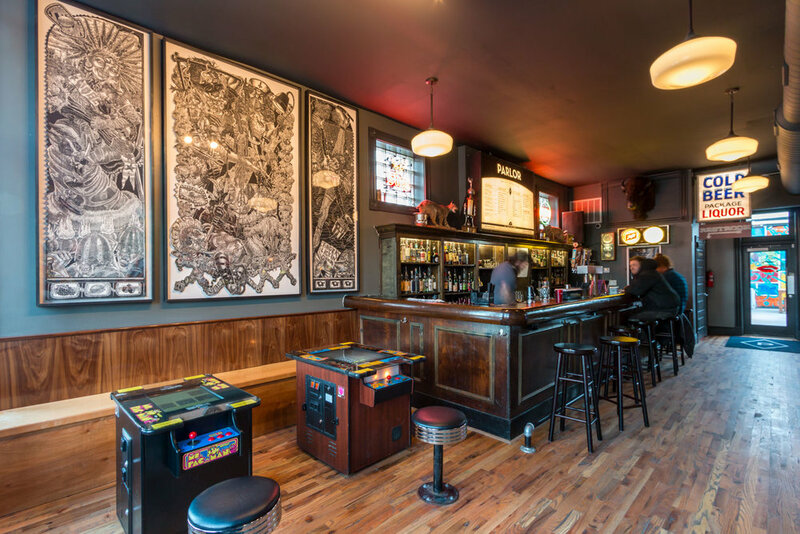 The new location features barn wood walls, hand-painted graphics, large scale neon “Sugarfire” sign on corrugated shed tin and a bottle cap mural wall. 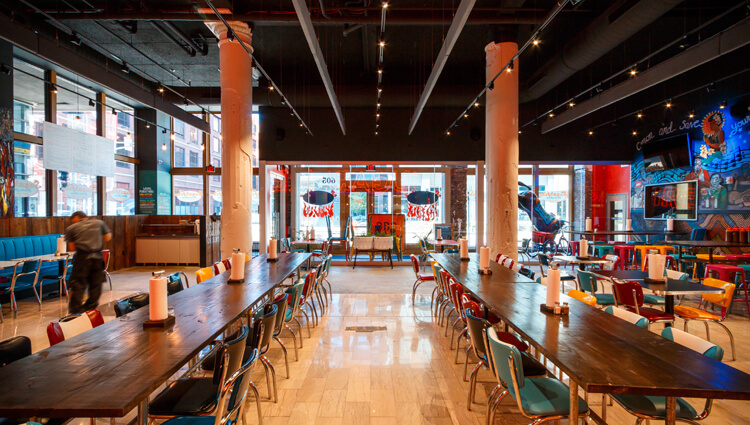 Nothing goes together quite like Blues and BBQ. 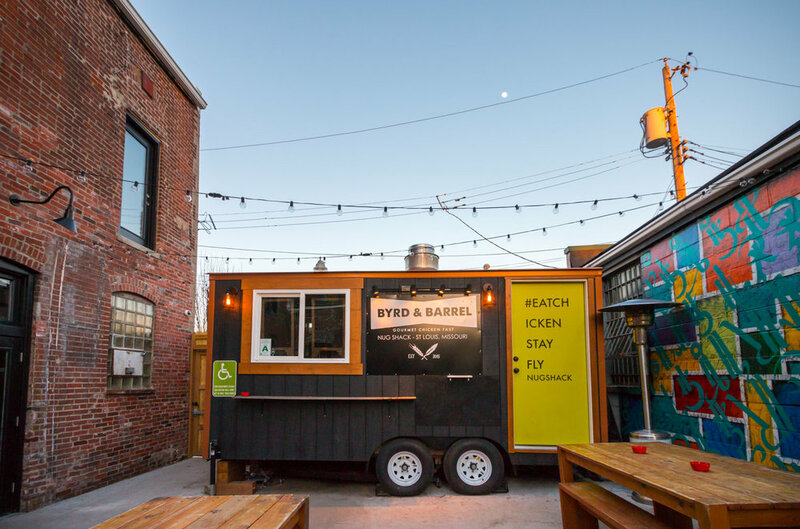 In addition to the restaurant design, V3 worked with Sugarfire and the city to design and implement a 24-foot shipping container located on 6th Street that houses two smokers. 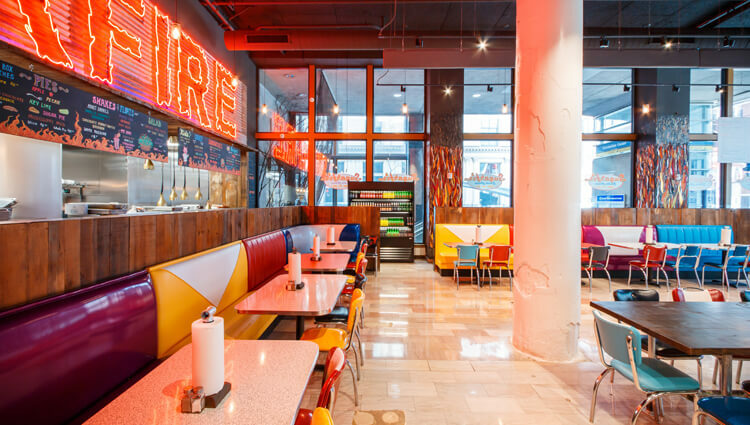 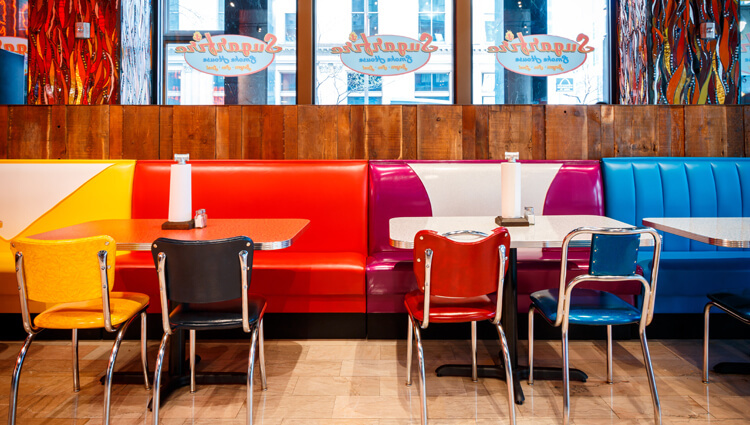 This unique location will bring Sugarfire’s incredible barbeque to an entirely new demographic in downtown St. Louis, as well as the many visitors who make the journey to the new National Blues Museum next door.